I got the original idea of Dave Arnolds obsessive testing... there he determined the factors of taste of lime juice. In his tests 4 hours aged lime juice tasted better than fresh one (but lime juice which has been older than 12 hours worsened dramatically, even against fresh). Long story short, today we tried diluted fresh lime juice - one unaerated and one aerated - and a Margarita - aerated vs. unaerated. The unaerated lime juice tasted abrasive puckery sour (duh - no surprise here). It was almost impossible to taste anything else, because it was so extreme. The aerated lime juice was also very sour, but was far more nuanced and was way “smoother”. It was not even a fair comparison. The difference was day to night. I made a very classic margarita without salt rim. Basic blanco 100% agave tequila (El Jimador), Cointreau and freshly squeezed lime juice. Shaken very strong and long and then divided - half fine strained directly into a small cocktail glass the other strained through the small decanter strainer of the Vinturi aerator into another small cocktail glass (both were chilled). The difference of the cocktails were not as grave as the lime juice - but definitely not very subtle. Strangely it seemed that the unaerated Margarita has been watery, less sweet and unbalanced. The aerated Margarita was for sure our favorite. However there was also quite a significant progression of the drinks - the drinks started very different but when they slightly warmed up (and probably oxidized) the difference were far less distinctive. After about 8 minutes you could still taste a difference, but it was far more subtle than the initial impression! 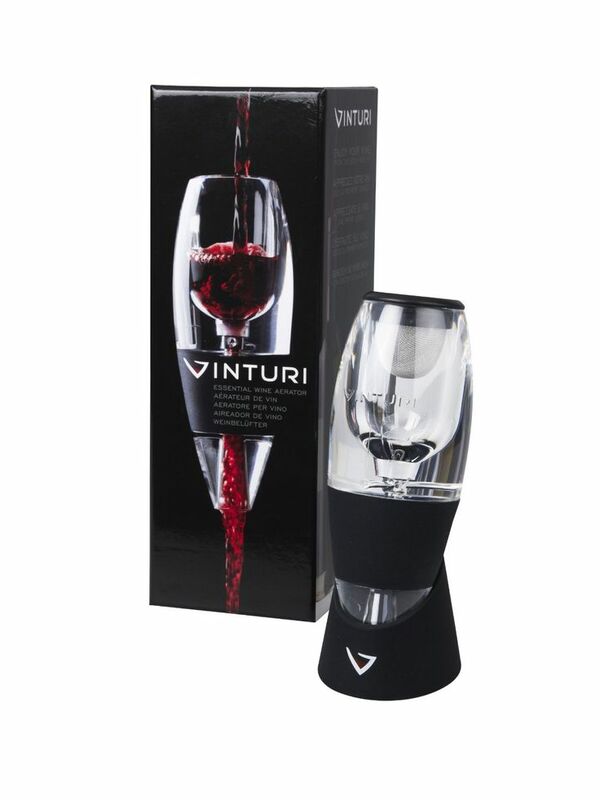 I will definitely offer in Noir a cocktail using the Vinturi aerator. And while Vinturi is mentioning mixed drinks, they seem to be pretty indecisive about using it with cocktails. As I know (and I am concerned), you read the use of the Venturi aerator in cocktails first on opinionatedalchemist.com. This will be an innovative year 2018! Come back for more new revelations.